Mary Magdalene: Author of the Fourth Gospel? Your inner spiritual journey begins as you take responsibility for your life, meaning that you no longer walk unconsciously through life, placing the blame for the events in your life onto something outside yourself. Instead, you make the conscious choice to grow holistically. Spiritual growth requires holistic growth. 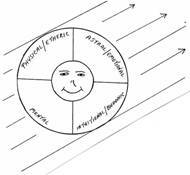 Holistic growth involves transforming all parts of yourself simultaneously, including your physical body, emotions, thoughts, and intuitive awareness. You are the Temple in which God dwells. To grow holistically is to clear the Temple-that-is-you of all negativity, dedicating it to your indwelling God (or I AM PRESENCE). My lamp sits in my office, where I spend most of my time. I set it on LOW and allow it to stay on all the time-unless I'm going out of town overnight. 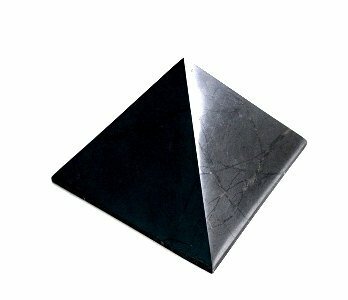 I keep a shungite stone on my desk between my computer and me. 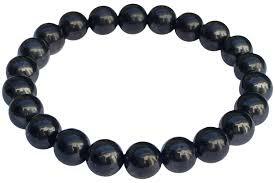 In order to guarantee the stone is genuine, be sure the shungite is from Russia. 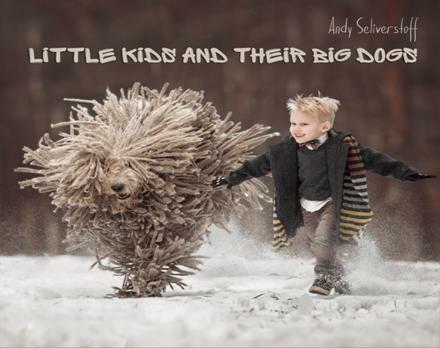 "From hugely popular photographer Andy Seliverstoff of St. Petersburg, Russia, comes this utterly charming collection of just what the title says - little kids and the big dogs they love.. The book has one overwhelming message, he adds, and it's simply this: "Love for children and dogs makes people kinder." Now more than ever, we all need to make room for kindness." 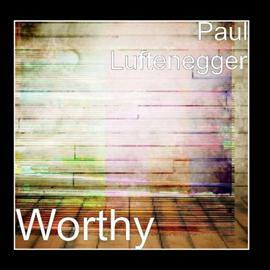 "Paul's inspired CD is just what the world needs! I repeatedly use one of his songs as a climax to a blog or comment on Facebook. 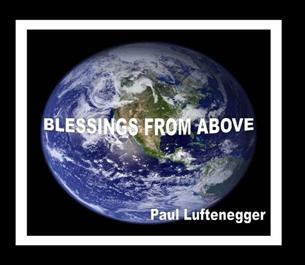 Our world is undergoing tremendous change and Paul's "Universal Love" is comforting to all of us, especially to those who are unsure of what is happening. Paul's "My Heart" urges us to love self and helps to develop self-esteem. 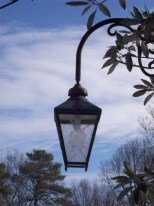 Elementary school teachers have used it in their classrooms-- the children love it. 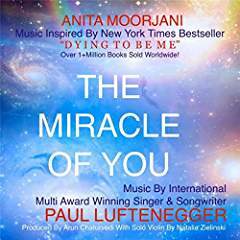 Paul composes his music with divine guidance, which is very evident. His song "Grown Men Cry" has touched the hearts of men taught in childhood that "boys don't cry." 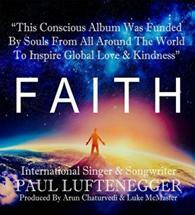 It is clear that our Mother/Father God is helping humanity, thru Paul's music, to develop the skills needed to be instrumental in expanding love on our planet. 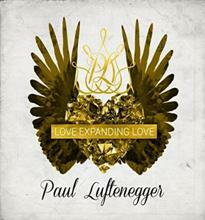 And, the world has joyfully responded to LOVE EXPANDING LOVE!" 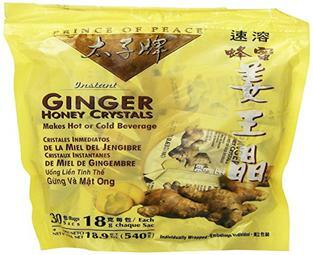 I drink this tea with dinner on a daily basis and love it! My cold fingers wrap around the warm tea cup. and stress begin to fade. make our plans.we'll work this out. Tell me your joyous news! Our hearts are filled to overflowing. 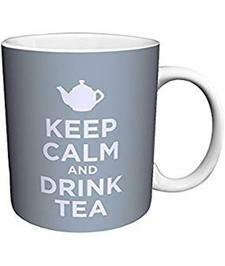 The volumes our tea cups could tell. 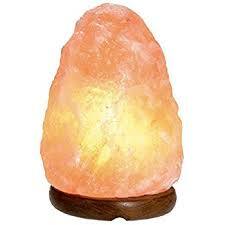 ".the VibesUP unique technique of mixing tiny spheres of quartz and essential oils together in forms that put them under constant pressure was developed. She was granted a PATENT on this process for the purpose of WELL BEING and continued to improve its efficiency with her LIQUID CRYSTAL and energy bridging process along with other amplifying techniques.. Not only can this energy penetrate things that are normally not conductors of energy, but it can bring these beautiful natural energies to deeper levels of our being than they could ever go before, while at the same time clearing out non-beneficial energies. We can now charge our food, water and bodies with specific good energy. I place all food and water on my Charging Coaster before eating or drinking. You may also get a Vibes Up Plate Mat. Since high and low vibrations cannot co-exist, I believe doing so lifts the vibrations of my food and water above the toxic levels that currently exist in much of our food and water. 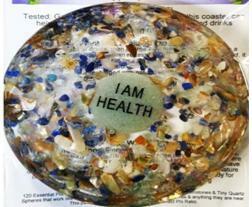 Vibes Up products are well worth checking out, as they relate to a variety of things in our daily lives. 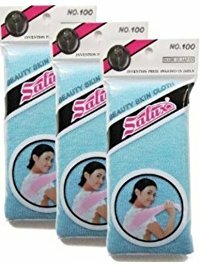 I have used these exfoliating wash rags for years and love them. Although some say they will last forever, I like to replace mine when they begin to feel not so rough. I like the deep clean feeling! What's Really Happening in America?